Auto email for information and alert. Customizations feature as per client requirement. KnowitHMS is a comprehensive and integrated Hospital Management System designed and developed in a state-of-art web based technology. KnowitHMS is fully geared up to meet the demands of running a multi-specialty Hospital or a Clinic. KnowitHMS has been conceived by a blend of seasoned professionals with rich and relevant experience in healthcare & IT industry. The system incorporates the best healthcare practices and is designed to deliver key tangible benefits to clients. Modularity: KnowitHMS is a comprehensive package that includes various modules which cater to different functional areas of healthcare institutions. this is fully integrated, yet modular, so that the user is not compelled to buy modules that he does not require. User Friendliness: KnowitHMS is extremely easy to use because of the extensive assistance provided during any and all data entry operations. The package is menu-driven, and help is provided for each screen. A comprehensive user's manual,detailing different procedures for various tasks,is also provided. Security: One of the major concerns of most hospitals is confidentiality of reports and records. Because of the sheer size and magnitude of patient’s data, this is not an easy task. 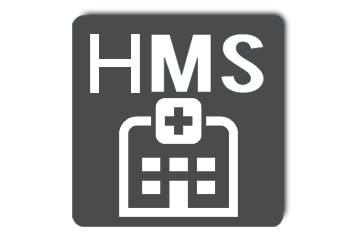 KnowitHMS provides multiple levels of security in the software, so that data pertaining to various functions of the hospital remains confidential. Graphical User Interface (GUI): A good GUI always sets one off on the right track, helping users navigate without a hitch. The easier it is to understand the greater is the chance that more people will feel comfortable with it. it Graphical User Interface enhances all the user friendly features of the system. The point and click features of the mouse reduces excessive usage of the keyboard, thus making most tasks easy-to-do and hassle free. This Saves time and makes information easy to store and easy to access when required. Doctor’s workstations: This module has several functionalities such as Appointments, OP /IP list of patients, Remainders & alerts and more importantly clinical documentation. The uniqueness of the clinical documentation is the Doctors can either use the standard template provided along with the system or can be redesign the format by them at any point of time based on their specialties and requirements. Online Help & User Manual knowitHMS provides a thorough and comprehensive online help, resulting in easy understanding and usage of the system. Thus,it is not necessary to be computer savvy to use KnowitHMS. SSRS Report Feature.User can eaisly export report in pdf,excel as well as word. Continuous Upgradation in the software for rich feature and future tuned. Both on site and off site, Telle supports provided as per requirements. The information stored in Hospital Management system is very sensitive and confidential. The system has been designed with a multi layer of security to manage these data. Various level of transaction closing such as Module close, GL close, Year Closing which controls and avoids data being modified after freezing the transactions. User login/logout information maintained in a transaction log file to audit verifications. Each transaction a log is being maintained for any audit purpose. We concentrate on process of the hospital. Our expert team stands and streamline every process in the hospital. Our team streamline the process of TPA & PSU bills. Implementation Starts with a plan. Focus on streamlining hospital process. Implementation will be always managed by project manager.